In the UK, driving theory test was introduced in 1996. The test needs to be taken as per Driving Standards Agency (DSA) before applying for practical driving test. Since 2002 a new section called hazard perception test has been included. The test has become tougher and since 2007 the passing marks for multiple section has been increased. You can book your driving theory test online or through official DSA website. The car theory test involves answering 50 multiple choice questions that cover an extensive range of topics related to driving like Highway Code, driving laws and mechanics. You get 57 minutes to answer and need 43 correct answers to pass. It is followed immediately by hazard perception test. You will be first shown a video of how this test section works. Then you will be given 14 video clips to watch. These clips will include daily road scenes and include minimum one or two hazards. For spotting hazards you will get 5 points but can attain high scores to click mouse the moment you see potential developing hazard. You will need to act as soon as you detect the developing hazard like changing direction or speed. To pass hazard perception test you will need 44 marks out of 75. Theory test of both parts are taken together and there is a need to pass both to become eligible for taking practical driving test for getting full driving license issued. 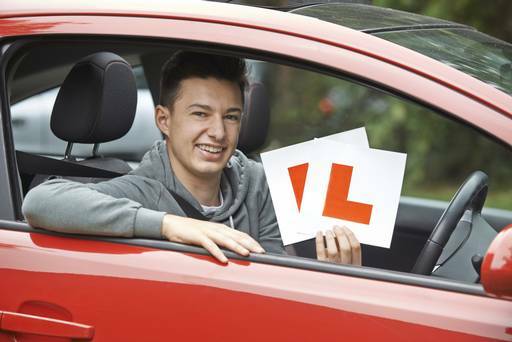 For driving legally on the road a full driving test that includes theory and practical driving exam needs to be passed. DSA and DVA administer these tests, which differ for two wheelers to variety of four wheelers (cars, trucks, HGV and more). Practical test takes place under the supervision of certified examiners that direct you around pre-determined routes. Driving faults are marked under dangerous errors or serious faults or collectively as major faults. If you accumulate more than 15 minor errors or a single major fault or you make several mistakes in same category means you fail the test. The examiner considers recurring of fault as dangerous habits of that category. Test time is 30 to 50 minutes in standard test but an hour for candidates taking test for licence revoked. The examiners will ask you to read the number plate of a vehicle standing at a distance, before starting the practical test. Distance of the car needs to be 20.5 meters for old style plates and 20 meters for new style plates. If it is observed that you need glasses then wear it while driving for the test. If you fail to read the first plate correctly then the examiner will ask you to read the second plate. If second plate is not read correctly then a tape is used to measure the distance between you and 3rd number plate. If third number plate is not read correctly then the candidate will be judged as failed and test is discontinued. After eyesight test, the examiner will ask two basic questions related to car safety and maintenance. These are phrased in Show me or tell me. If you fail to answer one or both correctly then it will be considered as minor fault. Manoeuvres like reverse, parking, bay parking or emergency stop will be asked to carry out.